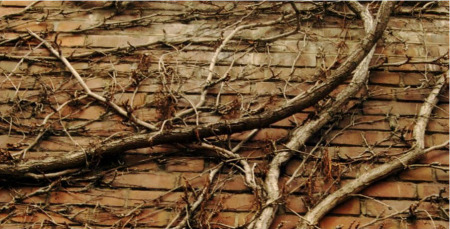 When Pope Francis recently spoke about the Church needing to be a ‘builder of bridges, not of walls’, Judith Lynch was reminded of Oscar Wilde's The Selfish Giant, whose walls around his garden needed to be toppled before light and life could return into it. I love op shops and weekend markets. I marvel at all the once-upon-time treasures and long forgotten must-haves. But it’s the books that particularly draw me and I usually go home with two or three tempting titles by forgotten authors, and a crick in my neck from trying to read book titles sideways. Books still spill out of my bookshelves, hide in the bedside cabinet, jostle for space on the coffee table and pile up on my work table. I read information to extend my mind and broaden my knowledge base and I read fiction for relaxation, I read poetry for the joy of words that flow like rippled silk and I delight in journals that surprise me with my shared uniqueness. I read theology slowly, with a highlighter in my hand, savouring it in small bites, giving it time to connect with the scripture that underpins my faith and the dailyness that grounds me. And sometimes, when I feel the need to reach out and touch the place where silence lives, I read children’s picture story books. We believe that the presence of God is written in our being. That is why our experience of God is always richer than our concepts and language about God. There are thousands of books written about prayer, but no matter how learned the writer or deep the reflection, they never quite capture the essence of the God relationship we long for and occasionally experience. Art does it sometimes, and occasionally a film leaves one briefly satisfied, as though there has been a breakthrough into the mystery that we name God. As can some children’s picture story books. The children’s picture book section of good bookshops draws me and I spend an inordinate amount of time marvelling at the art work and the ingenuity of the story lines. Occasionally a book chooses me. Something about it - an image, a title or a theme speaks to me. In the intellectual world of Church there’s something vaguely not-grown-up about confessing that I can be spiritually nourished by a children’s picture story book. Christian politeness is accompanied by a faint whiff of disapproval, a suspicion that I’m not only a cafeteria Catholic but also Catholic Lite. Telling stories is as old as the human race. We are storied people. Story connects us to the big questions of life. The written word can bring to the surface the inner substance of things’. He might have enjoyed The Red Tree by Shaun Tan. With minimal text and artwork that speaks for itself, this picture book ponders the meaning of life and captures that moment of clarity that was there all the time, just waiting. A lovely book to re-appreciate the quiet breath of the Spirit when we wonder what it’s all about. Or maybe The Big, Big Sea by Martin Waddell – a mother and child story about memories and their power to move us into the mystery of transcendence, when things are as they were and as they are now even more so. God memories, there to enrich and enliven. So when Pope Francis spoke recently about the Church needing to be a ‘builder of bridges, not of walls’, my mind skipped the accompanying theological language and made straight for that wall, before segueing to the story of The Selfish Giant written by Oscar Wilde. You might remember it. The Giant builds a wall around this garden to keep out the neighbourhood children, spring refuses to visit and all is dark within the walled garden. Not until the giant topples the walls does light and life, and the children, return. Maybe the Margaret Barbalet story, The Wolf, could be required reading for all Church leader’s meetings. A family, held captive by fear of a wolf in their garden, until they listen to the dreaming voice ‘Let it in, let it in’. Wonderful things can happen when a door is opened. When the wordiness of the swag of scholarly articles and serious topics that stream out of my computer each day wearies me and I need help to move into a silent space, I sometimes turn to The Whale’s Song by Dyan Sheldon or The Night Hawk Star by Junko Morimoto. Both books have a mystical quality about them, reaching long symbolic fingers into desires and yearnings that defy words. If the Church, too, seems tired, then maybe it’s partly because it is worded out. Instead of using heady religious language like genesis, exodus, sin and redemption what might it be like to let the heart have a say and celebrate through story the wonder that all life has beginnings and endings, freedom, failure and hope?